This book is a detailed guide to the construction of women's wear; specifically, jackets, skirts, and pants. It examines patternmaking beginning with the taking of body measurements and discusses muslin fittings in depth, including illustrated instructions for making alterations (width of lapels, length of front darts, neckline fit, etc.) and adjustments for figure problems (swayback, bowlegs, prominent sear, etc.). It then covers the construction of each items from the layout and cutting of its fabric through the final pressing of the finished garment. 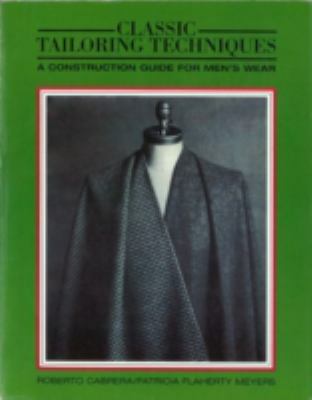 Information on tailoring supplies and on the hand stitches used in women's tailoring is included.Cabrera, Roberto is the author of 'Classic Tailoring Techniques A Construction Guide for Women's Wear' with ISBN 9780870054358 and ISBN 087005435X. Loading marketplace prices 91 copies from $52.44 How does the rental process work?